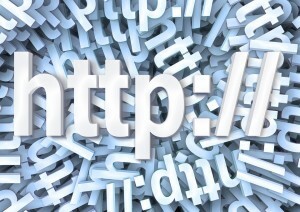 For more than two decades, people have been familiar with the notion of “http://” due to surfing the web. While not particularly relevant when it comes to typing in URLs, most people recognize the moniker from the countless websites that they’ve browsed and found in search. While it may not be absolutely necessary from an end-user perspective, the http plays a critical role in telling browsers where and how to connect to a website. In recent years, the secure variation of this – https – has become increasingly popular and common. With a variety of changes in recent years and even more planned for the future, is it now time to upgrade to a secure domain certificate? We’ll discuss the pros and cons below, and allow you to decide. The difference between HTTP and HTTPS is rather simple to explain in basics, but very complex in how the process actually works. HTTPS stands for Hyper Text Transfer Protocol Secure, and creates an added layer of security between host and end-user for communications. With standard HTTP connections, the user and the server are connected via a insecure connection. With HTTPS, this connection becomes encrypted, thanks to a SSL certificate that comes with the HTTPS acquisition. There are two keys that allow for information to be decrypted. One is only accessible by the domain owner (and is used for more technical purposes), and the other is a key that is accessed by visitors upon arriving at your website. One of the newest reasons why people may want to consider switching to HTTPS is due to a change in Google Chrome. While Chrome directly won’t affect your efforts at pinging for SEO, it is set to begin broadcasting to users that the domain is not secure if using a standard HTTP certificate. For the most part, this is nothing new – the vast majority of domains have been using HTTP since the beginning – but this explicit indication may make shoppers and customers think twice about giving you their sensitive information when a big flashing message tells them that the website is insecure. As such, making the upgrade may be worth it to you (currently, SSL certificates start out at around $50 per year). It was announced more than one year ago that Google would slowly begin factoring HTTPS certificates into its algorithms. While a complex explanation of the process was never given, the gist of the announcement was that a lack of HTTPS certifications could harm overall search engine rankings. Because of this, blogs and websites focused on search engine optimization may wish to make the transition now rather than later, so that it doesn’t harm any strategies regarding pinging for SEO. Some, however, are hesitant about making the big switch with another algorithm change in Penguin arriving shortly. As any major changes can dramatically upset search engine rankings on a temporary basis, it may be more difficult to determine whether any losses were caused by the HTTPS certificate conversion or by losses directly due to algorithms.